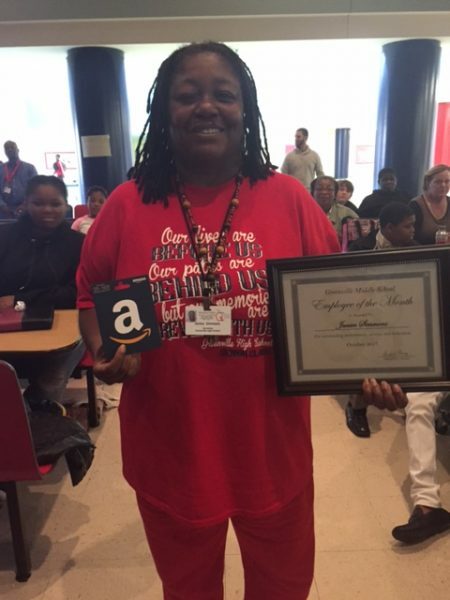 Greenville Middle School is proud to honor our Business and Computer Science Teacher, Ms. Belinda Godfrey, as Teacher of the Month for October!!! 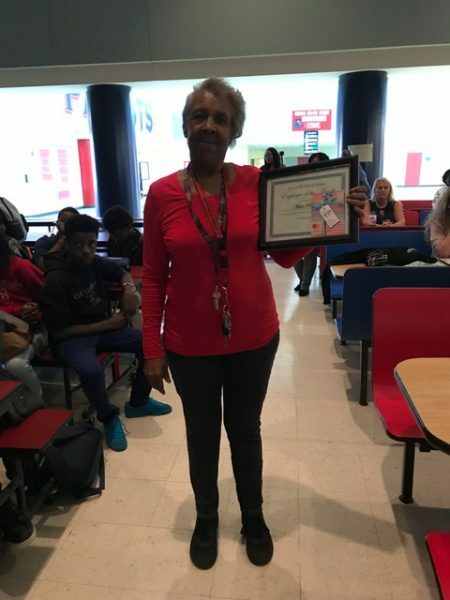 Our employees of the month for October are our registrar, Ms. Janice Simmons, and the head of our custodial team, Miss Mattie Parham. 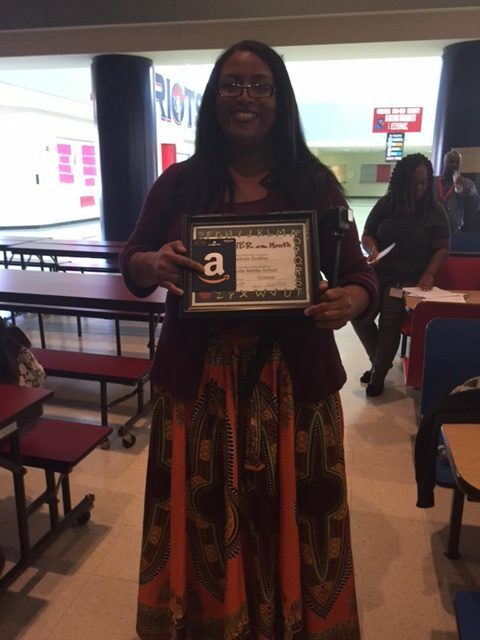 Ms. Godfrey, Ms. Simmons, and Ms. Parham consistently set high expectations for our students and are extremely dedicated to doing whatever it takes to see our students improve and achieve greatness. They work hard every day to help our students and our entire school succeed, and we are very thankful to have them as a part of the GMS family!